Now I am installed as your president and I am very honored to be elected again to represent KeyForce. This is the second time. When I served as the president for the first time during 2003-2004, it was the year after I joined Toastmasters. So it was a big challenge for me. But through that experience I learnt a lot about Toastmasters activities and also found out that KeyForce TMC is the best club for me. Each member is very supportive, cooperative, and enthusiastic with the power and leadership of women. Every member really supported me to achieve my office as the club president. Again this year I will take office of President in this club. But this time I found there are some changes in KeyForce TMC. As you have already recognized, we have two men as officers this year, VP Education and Treasurer, which are important roles as officers to manage the club. This is the first time for KeyForce. And furthermore we have a young high school boy as a potential member of KeyForce. KeyForce is no longer just a club, which has a majority of women. We are open to men, women, everyone who wants to develop their leadership skills through learning public speaking, as well as to support fostering women’s leadership. KeyForce TMC will be changing with a more diversified membership and growing with new member’s fresh ideas and lively activities. 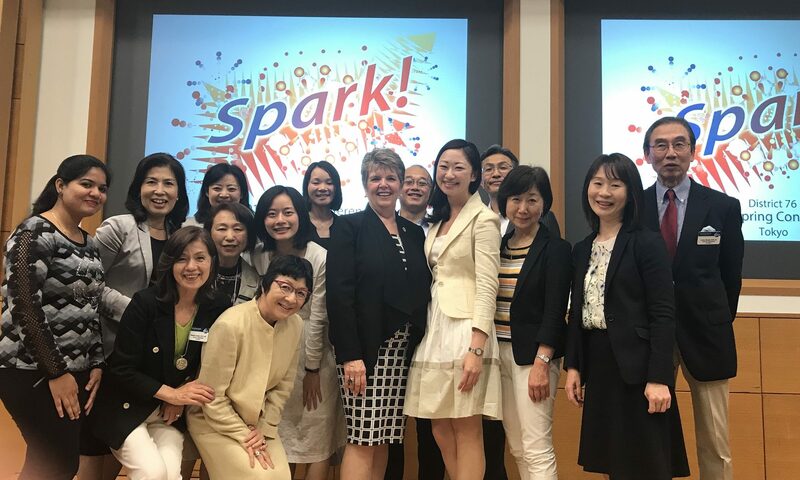 I heard from the founder of KeyForce, TM Ann Sado Honjo, we will have our 10th anniversary next June. We are planning to hold the 10th anniversary ceremony at the end of June. Tenth Anniversary Year is one of the turning points for us to review our activities and to change and grow to become stronger and more dynamic club. So I would like to set the goal for this term. “Chang and Grow”. We will change by having a diversified membership and growth by taking fresh idea into our club activities. In order to realize this goal I set two more specific targets. No.1 To develop recruiting activities to gain more diversified membership. No.2 To progress in DCP (Distinguished Club Program) to make the club activities more lively. I will make another presentation about this program, DCP in the near future. Let’s take a great step to achieve our goal, “Change and Grow”!